Folks, Today I am here to share Few Seo strategies, Seo Tips which will helps you to rank your posts on search engines. One of our blog readers asked me about rankings of my posts and helpful SEO tips to increase Google SERP. Today, I am going to share my views on SEO. Not only creating a blog but it is important to rank your blog. To rank, your blog most important concepts to be concentrated are SEO and Link Building Strategies. These 2 elements are very important to Rank your blog on Search Engines. Bloggers do you know search engines are eye opened now. In the past days, Algorithms are so simple as a result several blog posts with low-quality content get ranked easily with fewer efforts. Recent updates in algorithms changed Google SERP. Search engines like Google, Bing, Yahoo become smarter includes search results which are relevant considering Quality of Content in the post. Major search engines continuously updating their algorithms to filters Webspam and Blackhat tricks. So to get better rankings in Google SERP one should know Key concepts of SEO, and Link Building Strategies. Today in this post-I am going to explain you About Major Ranking Factors, SEO Tips 2015 and How to write optimized Articles or Blog Posts satisfying SEO Concepts. In this post, I am going to explain each and every tactic needed to optimize posts. Search Engine Optimization is a basic consideration so read this post completely and get expertise in writing Seo optimized articles. Friends, Compose articles by reading SEO TIPS below and don’t worry whatever the update your Google SERP rankings will remain. 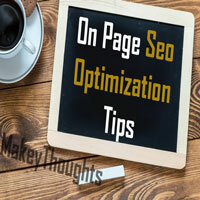 Below discussed SEO tips are regarded as On Page Seo Optimization. SEO( Search Engine Optimization ) is the major ranking factor and techniques followed while performing SEO to posts decides your blog rankings and traffic. If you followed perfect SEO Optimization techniques your posts will experience organic search from search engines. If you are able to write SEO friendly posts then you are a few steps ahead in becoming a successful blogger. Follow below guide for all tactics in Search Engine Optimization and How to write Posts and Optimize to meet requirements of SEO and Best Seo Tips to increase SERP. This the must thing to be followed by every blogger. As you are sharing your knowledge with the world sphere you should be very cautious about your writings. Don’t write articles in a way to get top in rankings in the single day. As Content is King, If your content is good without Seo also you can rank for competitive keywords. Google likes high-quality content So Write articles/posts in a friendly manner So that everyone can understand and follow your writings without any difficulties. This will increase your reader-base and Social Sharings. If you want to start a blog one thing you need to definitely remember it’s all about Niche selection. You need to be more specific while choosing niche wrong selection may end up your blog career. All you need to do select the topic where you can create interesting content like technology, Health, Fashion, Lifestyle, Mobiles. While you are writing articles do use H1, H2, H3 Headings in your post. Including targeted keywords in the H1, H2, H3 tags will be more advantageous. Most of the search engines give importance to H1, H2, H3 headings. So divide your content into paragraphs and include H2 – H6 headings in between them. But, Don’t irritate your reader base. As your article title will be an H1 heading so try to include keywords in your title too. Most of the search engines give importance to Bold and Italic Content. While you are composing articles try to use Bold or Italic characters in the middle of the posts. Don’t forget to Bold or italicize targeted keywords. This practice not only meets SEO requirements but also gives beauty to the post. You may be needed to include Images while you are writing articles. Optimization of images is also an important consideration in SEO tactics. Optimization involves including Alt tag to Image. In the image, Alternative Tag or ALT Tag include targeted keywords. Along with adding alt tag for images upload images only by optimizing in Photo editing tools ie Save all your images by tapping on Save for Web devices. This one of the best practice in SEO. This section is most important and it includes 2 elements. Meta title and Meta Description this is where the search engines know about your content. Meta title is the title given to Post length of the ranges 50-60 characters. The meta description is the small shorthand about your content length of the description ranges 150-160 characters. Don’t forget to include keywords in Meta title and Meta description. This is a thing where every blogger must concentrate why because nowadays keyword stuffing or keyword spamming cases are increasing this is all due to the assumption of using keywords again and again will boost rankings. Not at all recent Google updates treated this mistakes as Spamming as a result, the site could get a penalty or decrease in rankings. Instead of using a keyword many times, Maintain Safe keyword density of 2%-3%. Usage of Targeted keywords synonyms is also a good practice in SEO. If you have a youtube channel make some videos on content which you are going to discuss on your blog. While Writing posts do include content related video inside the post. This will not only drive traffic from your blog to your channel user will be more attracted towards your content and be a regular reader of your blog. An Image is equal to infinite words. So try to create an Image with user attracted words on it. This will make the user not to feel bored while reading. This is most important of SEO TIPS. When you get a good amount of shares on social networking sites it means your content is user-friendly and most of them are impressed. So after writing, posts include Social sharing Buttons and allow users to share your content on social circles like Facebook, Twitter, Pinterest, Reddit, StumbleUpon, Digg etc.. Finally, these are the SEO Strategies which I used to get fruitful results. 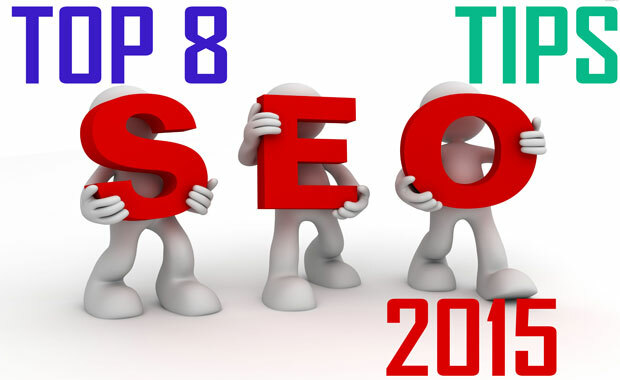 Now your turn to get expected results, These are Basic Seo tips which can render from my side. If you have any regards with this content get in touch with us by shooting a comment below. Share your experiences with our reader base. Expecting your support, Do give your support by liking us. Thank you for reading How to write articles following Seo Strategies Best SEO TIPS. Quite impressive post. Thanks for the sharing this really informative post. I am glad to reach on your post. Really informative post for advancing SEO strategies.